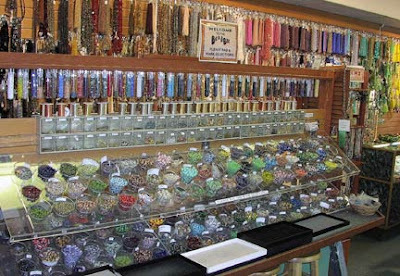 Bead Bar is a family-owned full service bead store and designer jewelry boutique that has been serving the Central Florida community since 1991. We offer the most diverse selection of fine beads and beading supplies in the area. We carry all the popular brands such as Toho seed beads, Miyuki Delicas, Swarovski and Thunder Polish Crystals, Fire Line, Beadalon, and much more. We also have collectibles like Chevron and other African trade beads, Vintage Venetian beads, Vintage German and Czech Beads, and even Ancient Roman Glass! Our products come from all over the globe, and our thirty years of industry experience allows us to offer the best stuff at the best prices. We have something for every age group, every project, and every budget. Our beading family keeps things fun around here. We strive to keep things exciting and entertaining. 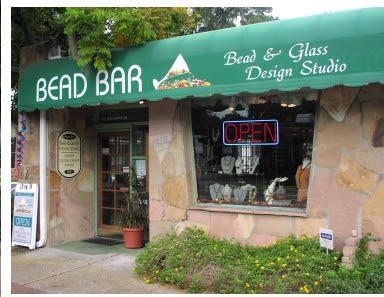 We host lots of special events, including our monthly “Bead Bar Happy Hour” which brings the beading community together for great food, drinks, music, and free class instruction from featured artists and designers.